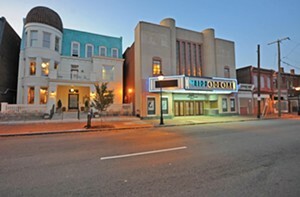 Been inside the renovated Hippodrome Theater in Jackson Ward yet? You know, the spot where legendary African-American musical greats as storied as Billie Holiday, Ray Charles and Nat King Cole once performed. Thanks in large part to taxpayer subsidies, developer and owner Ron Stallings has the building looking great, with a restaurant and speakeasy next door and a fancy-pants new JBL sound system to boot. But the venue has been building steam slowly since officially opening a little more than a year ago. The few major events seem to have been black-tie benefits costing close to $100 a ticket (oh, and Spielberg threw an invite-only wrap party there) with the occasional little-known blues or jazz act popping up. At press time, the Hipp had announced a new summer concert series. Will the niche crowds seeking jazz, blues and soul acts (along with parties, weddings, and events) be large enough to sustain a music venue with a capacity of 440 seated at tables and chairs, 550 in chairs and up to 700 standing? Stallings is a contractor, not a music guy, so we can only hope the different promoters he uses will know how to book national touring bands that can pack the place, bringing buzz back to Jackson Ward and adding a real jewel to our entertainment landscape, not just another taxpayer-funded space for a select few.